to stand on the side of a declared price-bottom. 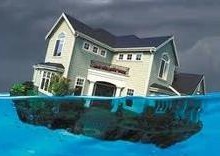 now underwater to the tune of an average –$59,000 negative per loan. Adding to the already existing $700 Billion in negative home equity. »So as distressed inventories keep increasing, prices will continue to fall. to a trending uptick beginning in Q4, but only perhaps. 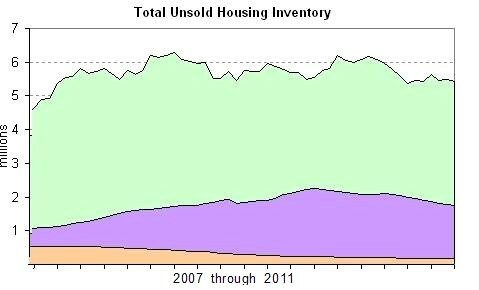 already foreclosed properties and clearly inventory levels are not subsiding. and 72% have not made a payment in over one year. • 2.36 million loans over 60 days delinquent. • 1.84 million loans 90+ days delinquent. • 2.17 million loans in foreclosure process. as of September of 2011. What do we know about all financial and economic markets? Easy. This includes the labor market and the housing market. who is calling the shots, it tends to be more or less predictable. 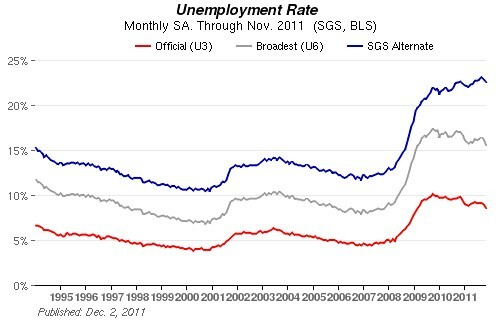 Fact: Companies are not adding enough jobs to lower the unemployment rate. down to the current and often unpredictable administration currently in the White House. retains the Presidency, the labor market will probably be very slow to improve if at all. With other major and investment markets following suit. Market surety is one of the keys to growth in our mixed-market free economy. the indicators will begin to show signs of Real improvement. those differences are just a few of the stumbling blocks on the road to recovery. Collecting credible data is always challenge in this 24-7, online world. job to mine reliable data is more difficult than ever. usually results in biased and inaccurate reports. data then report all discovered information without bias. Partial data in this report was collected from LPS, CoreLogic and RPX data. This entry was posted in Economics, Housing Market, Labor Market, Recession, Shadow Inventory, Unemployment and tagged home sales, housing market news, labor market, mortgage delinquencies, residential real estate, shadow inventory. Bookmark the permalink.